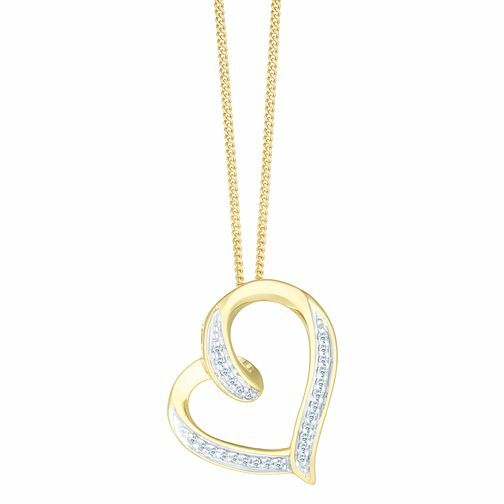 Create and give a symbol of your love with this elegant diamond heart pendant, made with 9ct yellow gold and featuring a subtle twist for shape and embellished with delicate diamond detailing. 9ct Yellow Gold Diamond Twist Heart Pendant is rated 4.3 out of 5 by 7. Rated 5 out of 5 by Anonymous from Fantastic Better than expected! Great quality and great price.